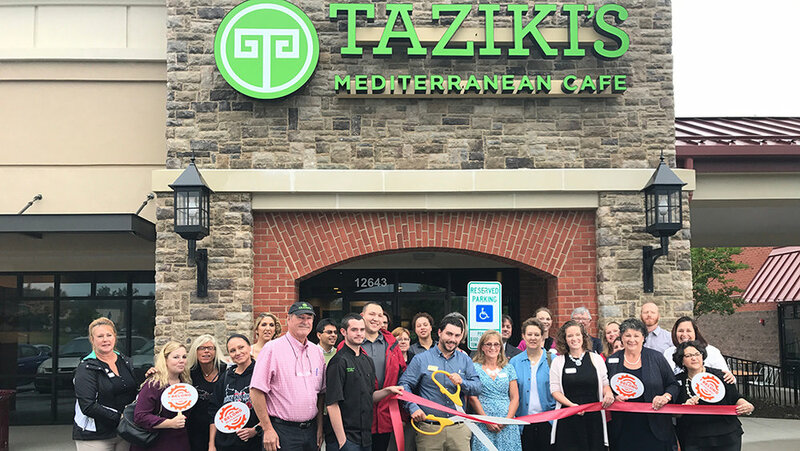 Taziki’s Stonehenge is the newest addition to the Taziki’s Richmond family located on the west end of the Wegman’s Shopping center on Midlothian Turnpike. This location has an amazingly shaded and dog-friendly patio along with a spacious dining room making it the perfect place to host your family for lunch and dinner. Our kid-friendly menu makes Taziki’s Stonehenge the restaurant of choice for those busy parents going to and from school and sporting events, and prefer a healthy alternative to fast food. This location is centered between three of the city’s major hospitals and minutes away from both Arboretum and the Boulders Office Park, making it the convenient and most delicious choice for catering your next event or business meeting. Order online here or call our catering line at 804-588-3718. Let our amazing staff at Taziki’s guide you through our chef-driven menu in order for you to stay true to your healthy lifestyle and dietary needs.